Not enough funds for a high-end palette or it’s out of stock? We’ve been there. Here are some alternatives for popular high-end eyeshadow palettes. Eyeshadow palettes are this girl’s best friend— I can’t walk out of a Sephora or Ulta without at least 15 swatches of assorted shades staining my arm. It’s like the buttery, glittery, pigmented pans are just sitting there waiting for me to dip my finger in and test them out. Naturally, the most devastating discovery is looking at the treacherous price tag or realizing the store has run out, so we’ve rounded up some great eyeshadow palette dupes. It’s not a post about popular eyeshadow palettes if I don’t mention Modern Renaissance from Anastasia Beverly Hills ($42). The hype over this palette and its rave reviews made it an instant classic, but if you’re not ready to shell out 42 big ones for it, there are a couple cheaper options to try out this shade family. Personally, I don’t really trust the “exact dupe” (read: fake/replica) route for eyeshadow palettes — I find them suspicious and borderline problematic, and I don’t feel comfortable ordering makeup from sketchy sites. If you’re feeling brave, know that there is that option if you want to take a risk and get a replica-like dupe, but if you’re like me, relying on reputable brands with similar but not exact shade ranges works just as well if not better. Modern Renaissance has a great, well-balanced collection of berry-leaning tones, which you can get in the 35 shades offered by the Morphe 35F palette ($23) or the warm tones in the NYX Warm Neutrals palette ($18). 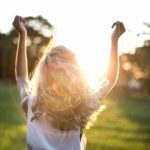 Even cheaper alternatives include the widely well-received e.l.f. Mad for Matte Summer Breeze palette ($10) and pretty Wet n Wild Rose in the Air palette ($4.99). The concept of “sunset eyes” has been super popular for the past few seasons now, and many brands have released gorgeous palettes with flattering warm tones. Some of the higher-end ones include Urban Decay’s Naked Heat palette ($54), Tarte’s Toasted palette ($39), and Kylie’s Bronze palette ($42). Two brands come out on top for affordable sunset eyes, the first being Morphe, which offers the more muted, neutral 35O palette ($23) and its brighter sister, 35O2 palette ($23). 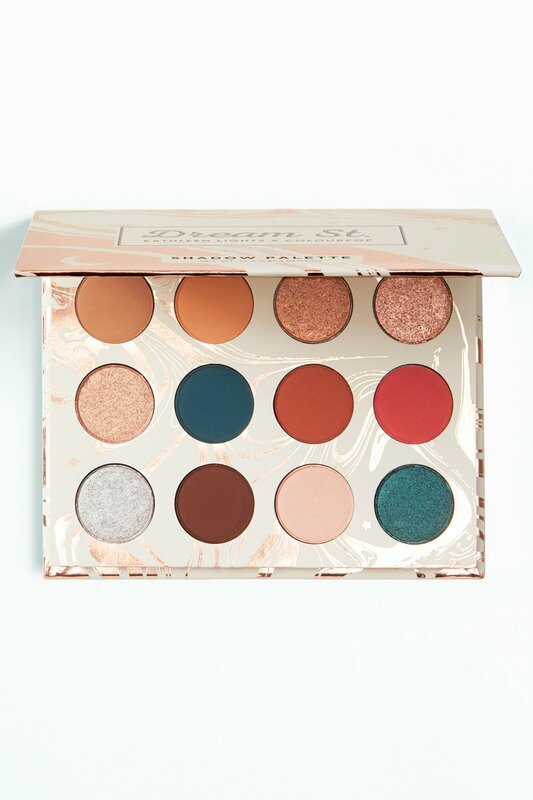 Colourpop also offers warm-toned palettes for less, including Double Entendre ($16), which has pretty neutrals, and Yes, Please! 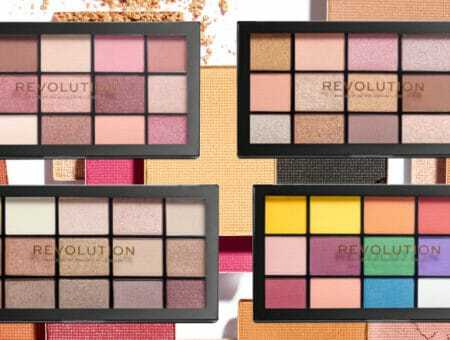 ($16), which mimics that perfect golden hour glow. All of these palettes can give you the same type of look as the higher-end options. For the most comprehensive collection of matte contour shades, look no farther than the widely lauded Shade + Light Eye Contour Palette by Kat Von D ($48). 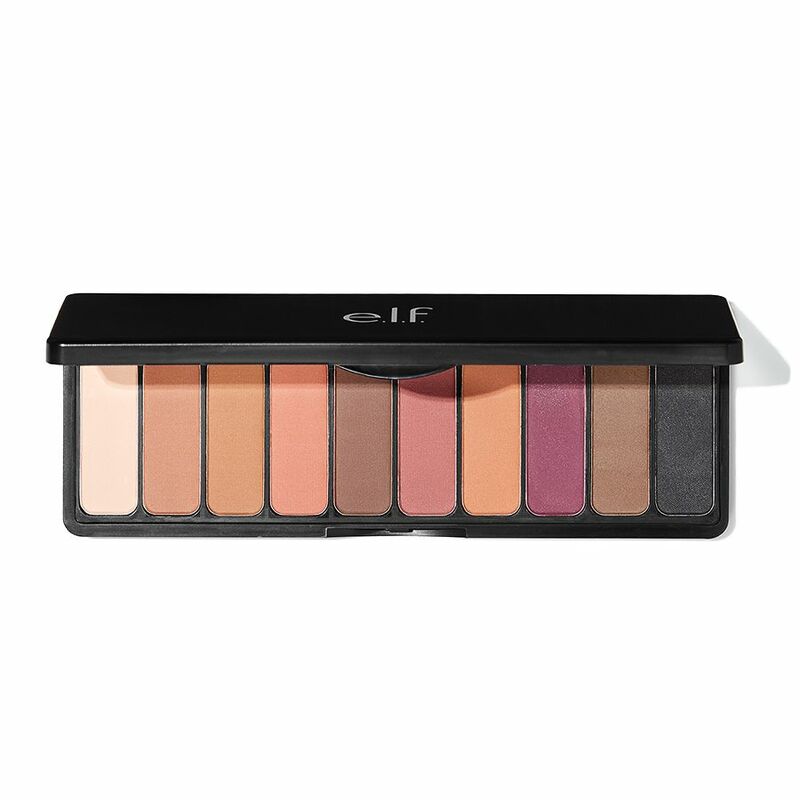 This palette boasts neutral shades in a variety of color families and is much-loved in the beauty community. 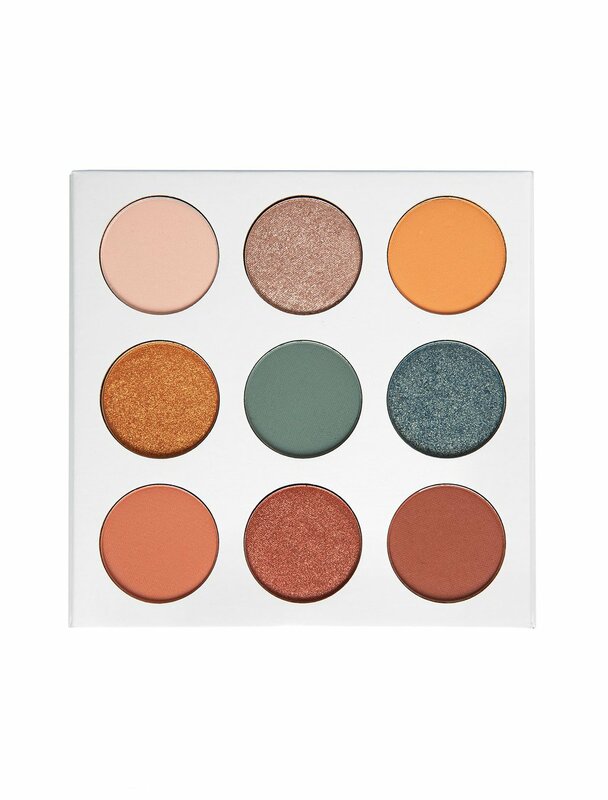 However, whether it be because of Kat’s recent personal controversies or the price tag, buying this palette might not be for you. 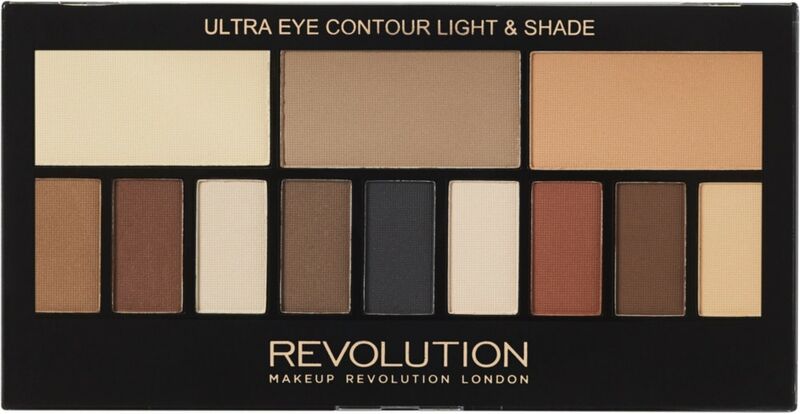 Enter: the Ultra Eye Contour Light & Shade Palette by Makeup Revolution ($15). 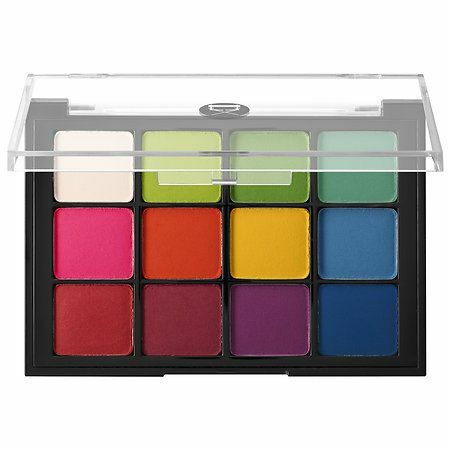 The layout of this palette mirrors the higher-end one, and its reviews are really positive in terms of pigment and formula. Although these shadows may not be as blendable as the Kat Von D ones, they come pretty darn close! For matte eye contour shades, I’d also recommend picking up matte singles by NYX ($4.99) specific to your tastes. 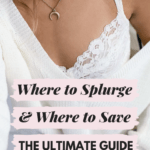 Single eyeshadows are always a good option if you’re only interested in some of the shades in a popular high-end palette — you end up wasting less product and saving more money! Bright colors are so popular this season, especially when worn simply as a wash of vivid pigment across the entire eyelid. The palettes by Viseart are renowned by makeup professionals and hobbyists alike, and their Editorial Brights palette ($80) is no exception. However, $80 is a lot for 12 eyeshadows, and I swear, the first time I touched a Viseart palette, fell in love, and saw the price tag, I thought I was about to faint (Natasha Denona makes me feel the same way). 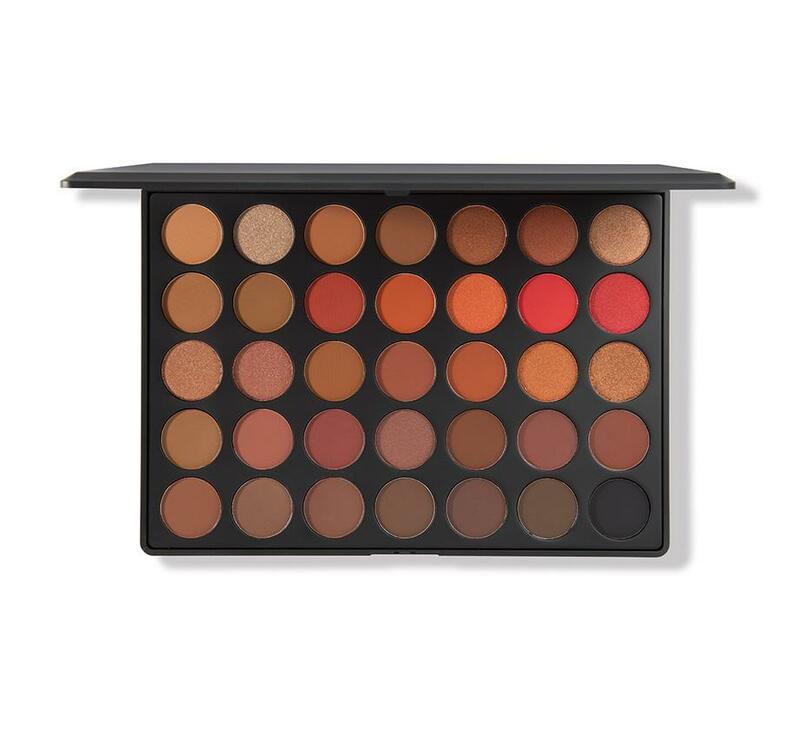 When buying unconventional shades like this, average college girls like you and I don’t need an expensive palette like the Viseart one. 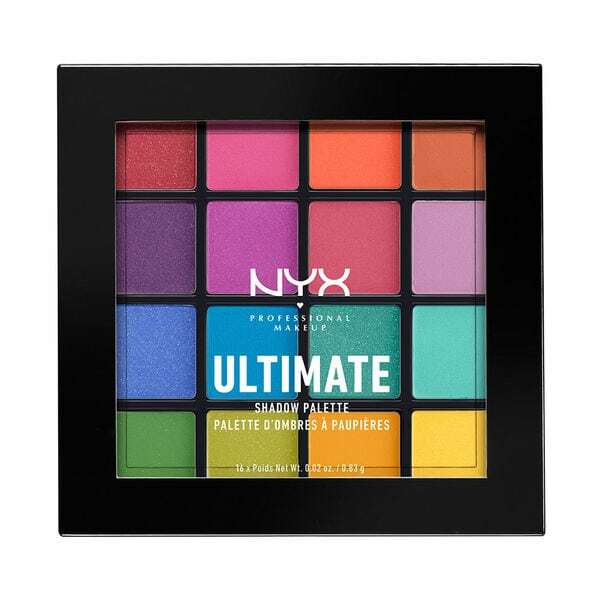 Instead, creative experimentation should come affordably, which is why I recommend trying the NYX Ultimate Shadow Palette in Brights ($18) first before shelling out for a more expensive product. 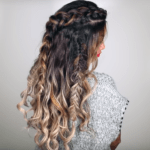 You’ll get a similar range of fun shades for a fraction of the price, and you won’t feel bad if you don’t use the palette as often as your others. Sounds like a win-win to me! I wasn’t even going to dupe the Kylie Blue Honey palette ($38) until I stumbled upon a product so similar, my jaw dropped. Blue Honey has a great collection of shades that offer a nice range and room to play with, but Kylie products are in high demand and I’m not looking to pay $38 for 9 shadows if I can help it. As I browsed the Kylie shadow collection, I realized Blue Honey’s collection of shades looked awfully familiar. Turns out, one of my favorite Youtubers, Kathleen Lights, has created a collaboration palette with Colourpop called Dream St. ($16) which offers very similar shades. To be honest, I think I prefer the shades in Dream St. over the ones in Blue Honey — they have more dimension and I think they’d pop better on the skin. For half the price and with 3 extra shades, how could you say no? These are the best dupes for high-end eyeshadow palettes that I’ve found so far. Remember, getting a perfect dupe sometimes means buying singles and customizing your own perfect palette instead of blowing money on full palettes. Happy dupe hunting! Were there other eyeshadow palettes you wanted me to dupe? 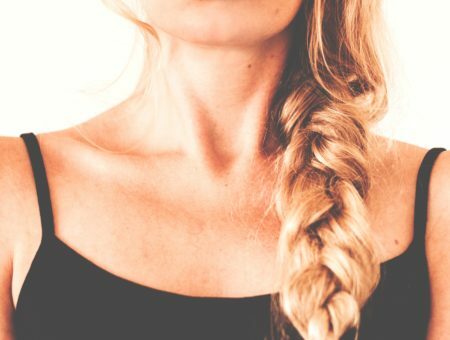 Comment them below, and I’ll consider writing a second part to this post!